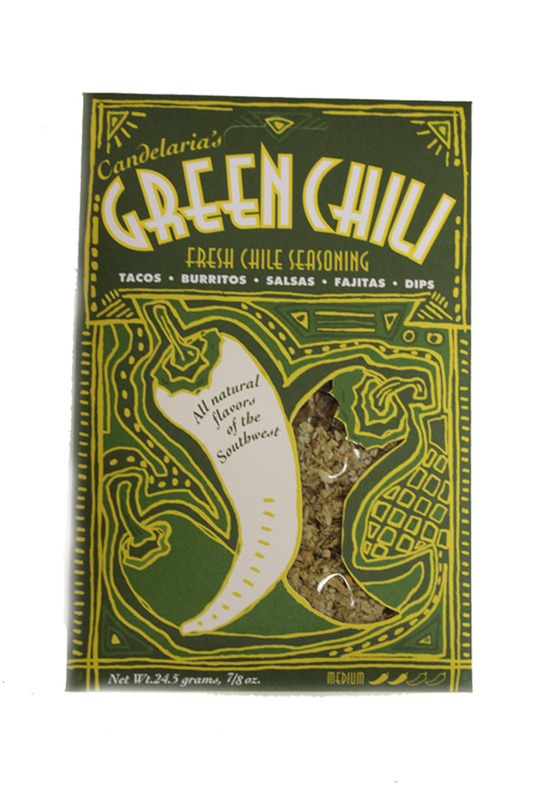 Organic seasoning mix from Candelaria's of Colorado, this Green Chile Mix kicks up a pot of posole, stew, soup and makes a mean dish of green chile. We use this to cook with in various recipes. Delicious!